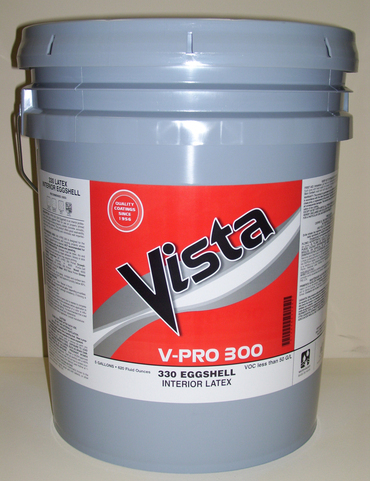 V-PRO 300 (330 Eggshell) is a zero* VOC interior professional grade latex eggshell for use on properly primed walls & ceilings including masonry, plaster, concrete, acoustic, wood & metal surfaces. This product offers good washability, scrubbability, gloss uniformity & minimizes wall imperfections. Recommended Uses: Designed for the repaint maintenance & housing residential markets where an eggshell finish is desired. NOT recommended for horizontal surfaces such as shelves & paneling.